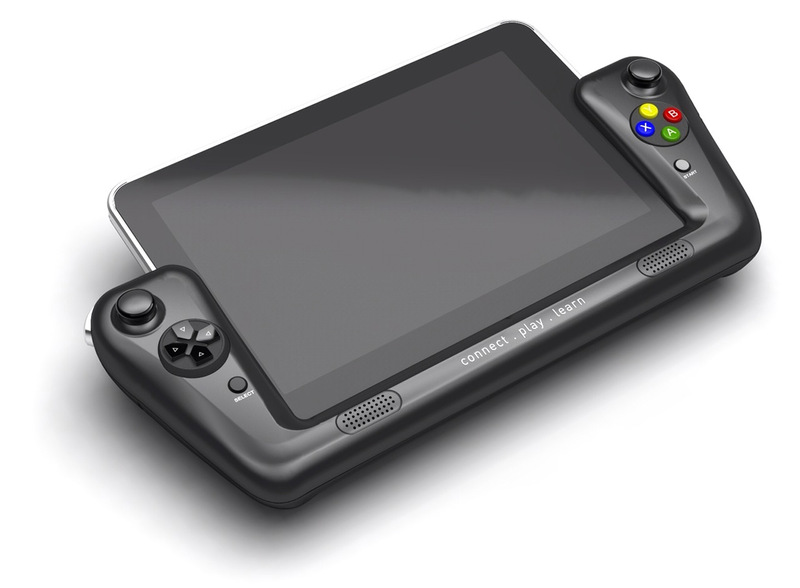 After promoting for so long the Wikipad tablet as the first gaming tablet to come with autostereoscopic 3D display built-in and a physical game controller that attaches to the tablet, now there is information coming directly form Wikipad in an interview with them that the initial models will not feature stereo 3D support. Furthermore the 3D display may be available in future models, but that is not sure yet, it is certain however that the first Wikipad powered by Tegra 3 should be released sometime later this year. 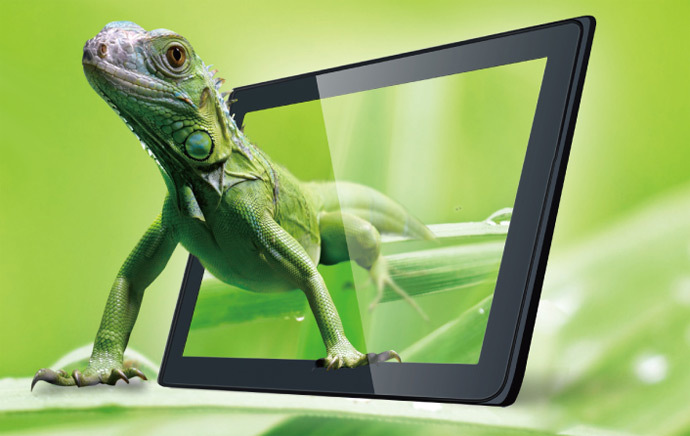 Now, why did Wikipad decide to ditch the 3D display for now is not yet clear. But we can easily speculate that it may be due to the fact that the Tegra 3 does not have native support for driving autostereoscopic 3D displays and the cost of a good 3D display along with the implementation could make the tablet too expensive at the moment. As for the stereoscopic 3D support for games, the Tegra 3 platform is already ready for that, though there are still a very limited number of games optimized for it that support stereoscopic 3D mode. The lack of enough 3D-ready content could be another reason for dropping the stereo 3D support on the platform for now and last, but not least they could have gotten scared by the information in the media that the 3D is loosing popularity. Either way I’m sure that there are a lot of people disappointed by the fact that the Wikipad isn’t going to be the first stereoscopic 3D-capable gaming tablet on the market. Actually the most interesting part is that the Tegra 3 uses a very similar technology like 3D Vision on PC to enable the stereoscopic 3D rendering of some games. 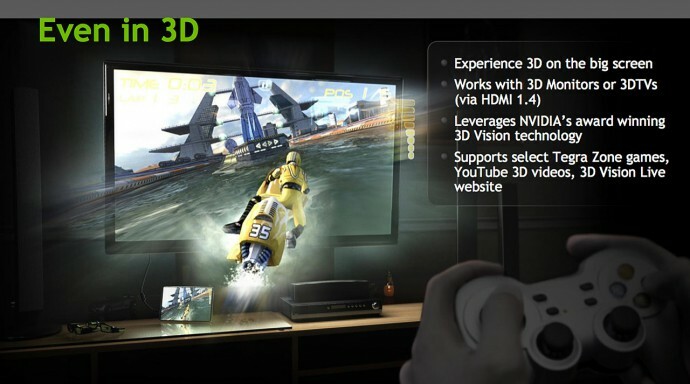 Thanks to the increased performance of the Tegra 3 you are able to automatically, and in real-time, convert some OpenGL based games and apps into stereo 3D and play them on a big 3D-capable display. And the nice thing is that you also have an easy access to controlling the level of depth on a Tegra 3-based device similar to the way that the depth slider works on the 3D Vision. – Connect your Tegra 3 mobile device to a 3D-capable monitor to 3D HDTV with HDMI 1.4 support. – Look for Tegra Zone games that support the “3D Stereoscopic” feature, you can easily spot them on the Tegra Zone app or at Tegra Zone web site, use the “3D Stereoscopic” category filter. 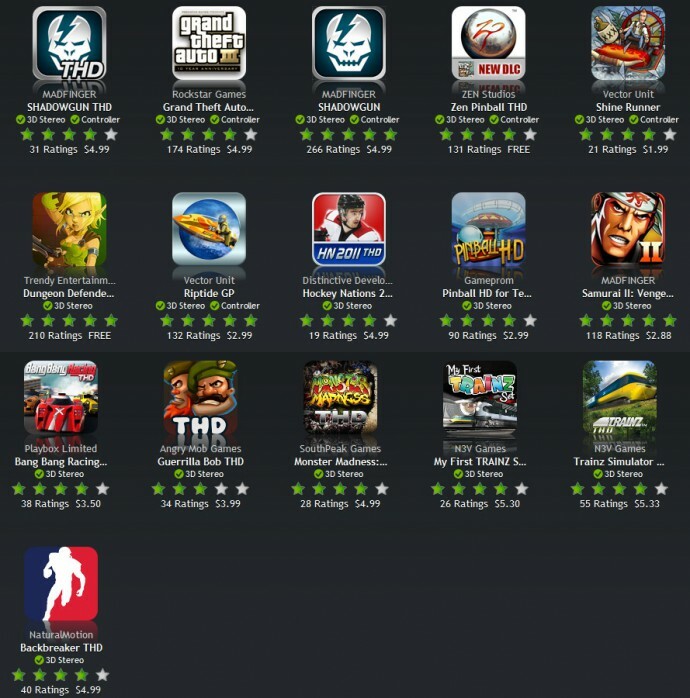 – Start the game, the game will automatically be rendered in stereoscopic 3D mode on the 3D-capable external display as the screen of the Asus Transformer Prime or another new compatible tablet or smartphone based on Tegra 3. 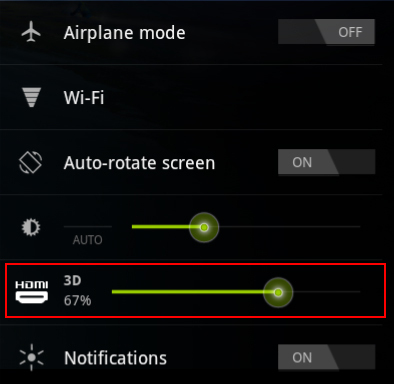 – To adjust the 3D depth in game, pull up the quick settings menu (from the lower right corner of screen) and adjust the 3D depth slider left/right to decrease or increase the level of depth you are getting.